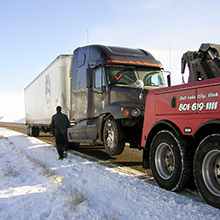 Avoid those companies that prove to be unreliable, and even squeamish, when it comes to providing emergency assistance during less-than-favorable conditions by calling the experts at National Truck instead. Known for going the extra mile, no matter how nasty it is, our tow and service techs are true professionals that can always be relied upon to lend a hand. Anytime, anywhere, anyone! That's our motto and we stand by it. We have many clients who have been in unique situations due to location, weather, or the type of vehicle, but in all cases we find a way to save the day. On average we are able to have a vehicle and service professional on site within 45 minutes, fully prepared to have you and your vehicle towed, recovered and on your way. Keeping your wheels on the road, where you make your living, we offer both in-shop and mobile automotive maintenance services wherever you may need them. With competitive pricing and convenient scheduling, our highly trained, certified crews strive to exceed your every expectation, delivering unparalleled service for fleets of all sizes. We’ll help you reach your destination without worry. Providing comprehensive roadside services and preventative maintenance every single day of the year, and covering every last mile of America’s highways and byways, we are the hardest working fleet crews in the nation. Staffing our 24-hour call center with live Technical Service Advisors, you’ll never have to question our availability or our commitment to your needs. Contracting with local technicians in the biggest cities and the smallest townships across America, we’ve been helping private individuals and fleet professionals run and maintain their vehicles for the last 27 years. 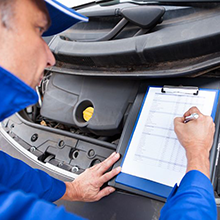 Exclusively using the services of ASE-certified technicians, we guarantee your satisfaction by never cutting corners or compromising our standards. 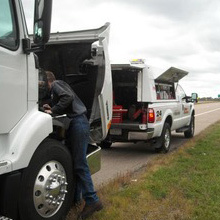 Specializing in the unusual circumstances that all maintenance professionals have experienced at one point or another, we’re equipped to handle even extreme situations, getting you back on the road safely and cost effectively. ©2017 National Truck Emergency Road Service. Do not copy. All rights reserved.